2019.01.06 Oh, My God. Epiphany LIghts. The church begins the season of Epiphany today. It’s the season of light, of manifestations of Christ in our lives, of new beginnings. Epiphany light makes what was hidden come to light, often startlingly. We ask: What is this? Is this God? Our biblical ancestors asked this about Jesus: Is this God? It took them a long time to see, and longer to say: yes, we see God here. It took more time to realize that after Jesus died, they still saw and felt Jesus’s presence. They called this the Light of Christ, and said again: yes, this is God. Epiphany invites us still to see that light, and still to say: yes, this is God. And yes, God in Christ illuminates, and yes, it's not always easy and sweet. 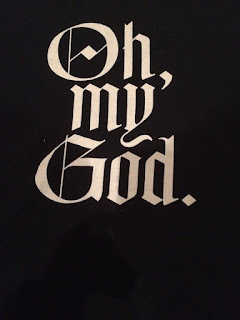 Seriously, I have a black tee-shirt from the Episcopal Cathedral of St. John the Divine in New York City with Oh, my God., in white calligraphy on it. Note the emphatic period not an overenthusiastic !. Do you have epiphanies that feel spiritual? Spirituality is a matter of training your heart and your eye to see beyond or inside a simple ordinary scenario and marvel at its sudden inexplicable grandeur. Do you ask: Is this God? Listen to how often you, or people around you, say or text: OMG! OMG! Across the street from us there’s a creche—not unusual at Christmastide, but this one is a standout, not for its artistic beauty or creativity but for its inner glory. The creche scene is squeezed into the small fenced-in strip of concrete alongside the front of the house.The traditional manger figures are all present, including a camel tied to a fence post so it won’t blow away. The figures are life-sized, colored pink and blue and yellow, save for the camel and Joseph who get to be browny/goldish. Each figure is illumined. It is honestly a most gawdy scene, yet every year out it comes—set up faithfully, tenderly by its owners. This year all the lightbulbs, save for Joseph and an angel, were out. The creche stood darkened. I thought maybe the owners had lost their enthusiasm. 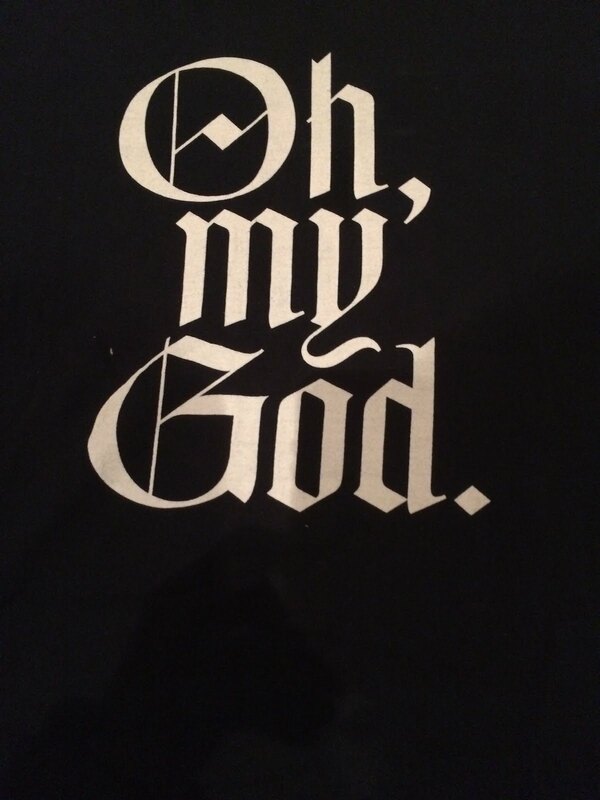 But, Oh, my God! on Christmas eve new lights bulbs suddenly flickered on for Mary, Jesus, Magi, shepherd, sheep, and the other darkened wise men. Some work went into that illumination, some money and effort, some God. A young man rode by on his bike with his small son in a seat on the back of the bike. He was going fast, possibly in a hurry to get home before pitch dark. I watched and saw the little boy gesticulate with his arms, and also no doubt shouting. The dad screeched the brakes on and executed a swift, not without risk, u-turn. Why? Oh yes, the siren call of the train whistle, the clang clang of the crossing gates coming down, and the train’s light approaching. The child simply had to see this, so dad whipped around so the child could wave vigorously to the train from his little seat. A very self-important man holding the highest office in our land had a conversation with a seven-year-old child. He asked the child whether he believed in Santa Claus. “Oh yes” said the boy. “Isn’t that a bit marginal for a seven year old?” said the man. Undaunted, the child nodded, saluted the man and stuck to his answer. One can only hope the child did not know the meaning of “marginal”—or better yet, rejected it. When I was seven, a friend in school told me in no uncertain terms that there was no Santa Claus. She had a very good reason for her surety: Santa certainly couldn't afford all those presents. I went home and told my parents: “You won’t believe the stupidest thing Nancy told me in school.” I scoffed. I continued to believe in Santa Claus. I still do, marginal that I am. This might explain the fact that no one has ever dissuaded me from my own devotion to God and all things religious. “You can’t solve a problem with the very means that created it in the first place. Radicalism and incivility got us where we are now; only thoughtful compromise and relentless civility will bring us back. . . . Civility is essential in our personal lives too. It’s not just that being civil to each other makes our interactions more pleasant. Or that behaving in a civil way, and restraining our anger, is curiously empowering. Sometimes what is unspoken carries more power than what is spoken. 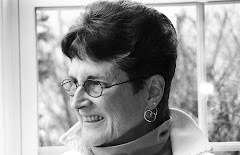 Some inner explosions represent truth, even when civility keeps us from speaking them aloud. Well-meaning religious idiots often say in the face of a sudden trauma of unimaginable death: “God never gives us more than we can handle.” Here are Elaine Pagels’s inner reactions from her memoir, Why Religion?, after her young son and her husband died a year apart:“How dare you speak of this as a gift from God? What do you know of what I can—or cannot—handle?” Never stifle the soul-truth of a profound spiritual outcry with religious platitudes. Never, never do it. Never. If God is God, God cries out. Christians ought to know this. Let’s not give God a bad name or demolish divine Love. On a sweet note, here is a photo of a tree ornament my son John created, with help I'm sure, when he was in nursery school in 1973. On the back are his initials and date: JTB, 1973. His nursery school teacher saved some of these ornaments and hangs them on her Christmas tree. She is nearing ninety, and John is nearing fifty. Memories, like Love, never die.